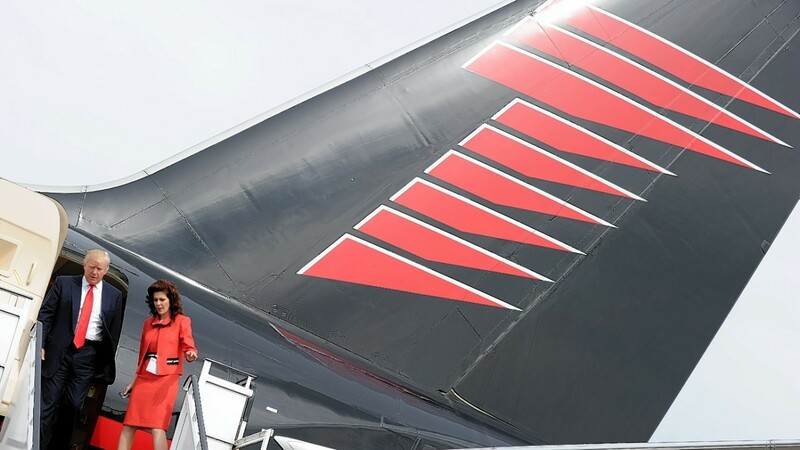 Air travel is often beset with numerous problems such as luggage allowances, long queues and cramped leg room – but not if you are Donald Trump. His distinctive Boeing 757 jet is emblazoned with it’s owners name and touched down at Aberdeen International Airport yesterday morning. 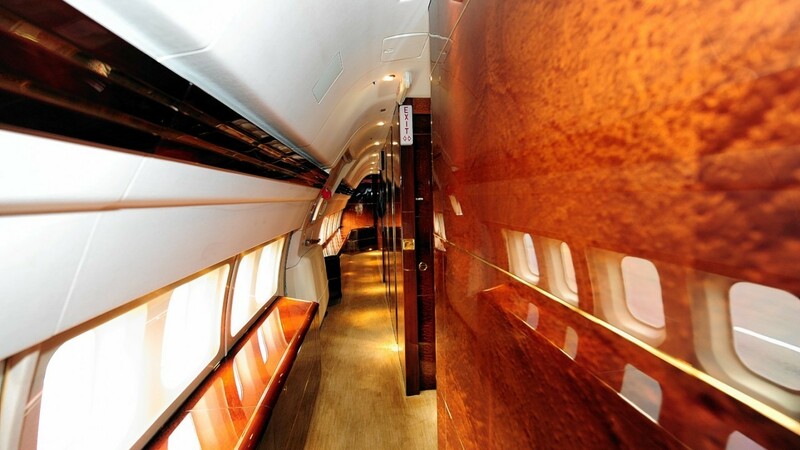 And inside, the property tycoon’s private plane is awash with cream leather, gold trims and shiny wood surfaces. A large open-plan seating area takes up most of the interior. 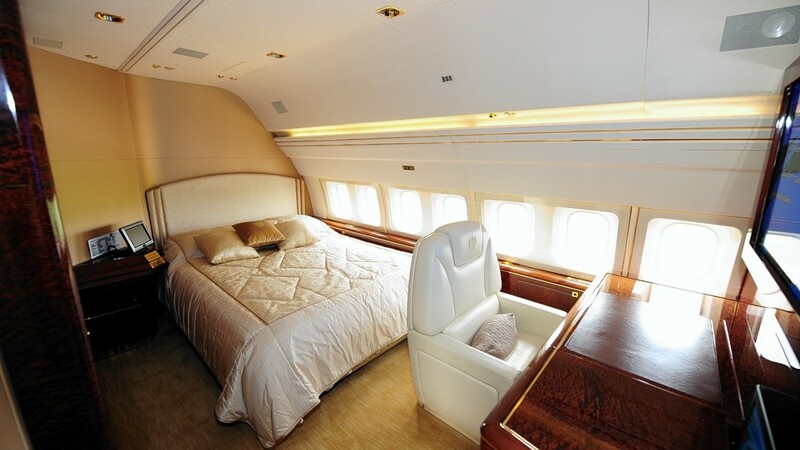 Large padded airline seats with gold seatbelt buckles and the Trump Organisation’s crest on the head rest are dotted throughout the plane. 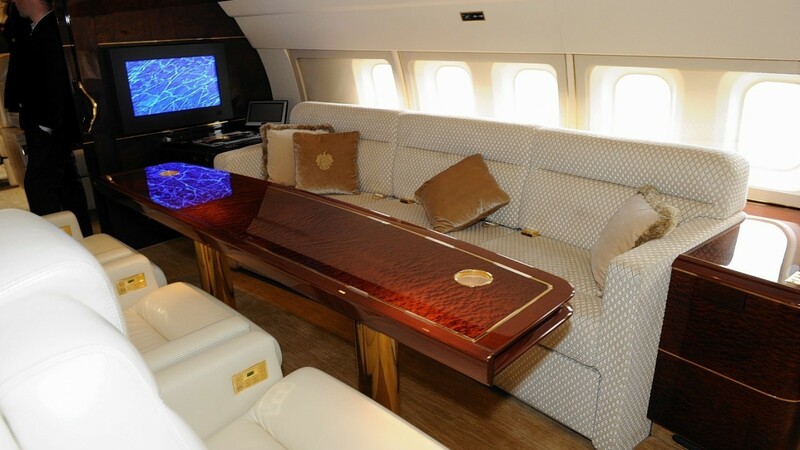 Passengers can view the large flat-screen TVs from the glossy, dark wood dining table, or one of the sofas with plush yellow cushions. 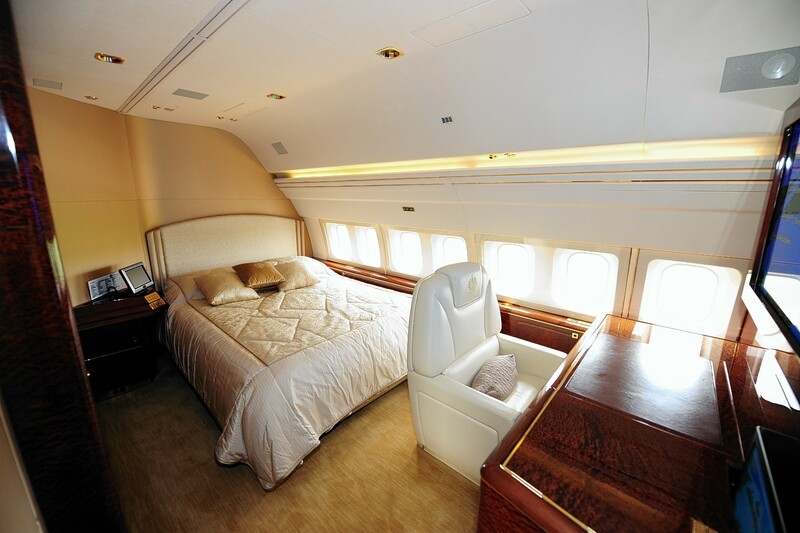 There is another, smaller lounge and even a bedroom with a double bed. 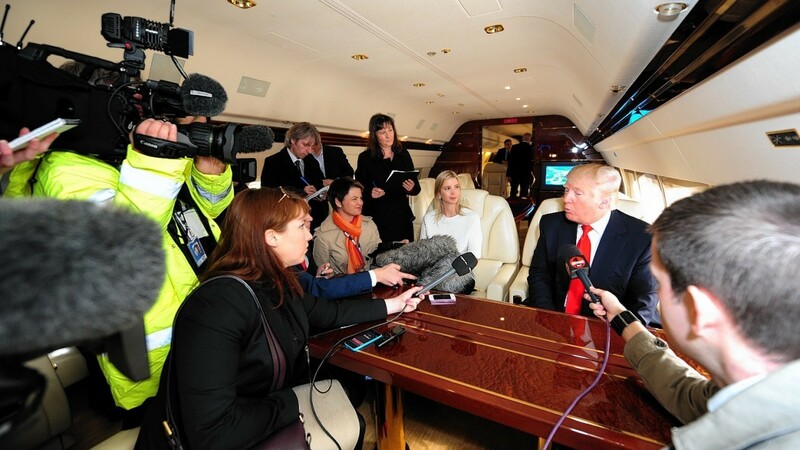 Pilots John Duncan and Jay Galpin flew the plane from Prestwick Airport in Ayrshire, where Mr Trump had spent a few days at his Turnberry course, to Aberdeen. And Mr Trump has plans for north-east golfers to experience his jet-set lifestyle by flying them between his UK golf resorts. He said: “I am in negotiations to buy a really top of the line helicopter to take people from Aberdeen to Turnberry and then to Doonbeg. 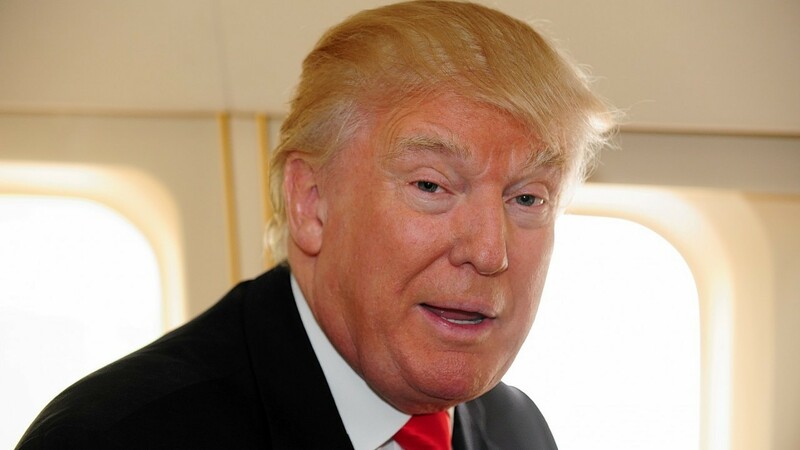 As for onboard refreshments, guests can sip Trump Ice Water complete with a picture of their host on the bottle.